AAA State of Play Blog: Why to go for Playground Equipment made from Recycled Plastic? Why to go for Playground Equipment made from Recycled Plastic? Nowadays, with a huge awareness of saving the environment, the manufacturers of playground equipment are making the use of recycled plastic extensively. There are a number of benefits of using such kinds of equipment like such playground equipment resist moisture, insects, & bacteria, they are also resistant to graffiti & vandalism, the possibility of getting injured is very less, and the plastic equipment can be recycled again for some other use. Besides all that, there are many other advantages of such equipment. First and foremost, they are protecting the environment. Secondly, they are very cost effective as the manufacturers do not have to use high-priced materials. Thirdly, once you purchase such kinds of equipment, you don't have to worry much about their maintenance. Fourthly, this equipment is long lasting as compared to the other equipment made up of wood and other material. And the last but not the least, these equipment are innovative and a smart way of utilizing the waste materials. 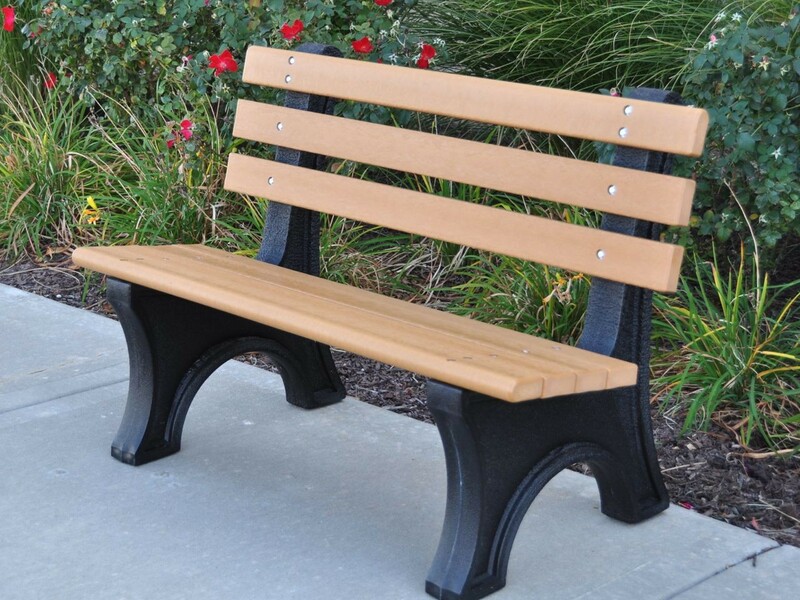 There are many online retailers that are providing playground equipment made up of recycled materials which include outdoor benches, picnic tables, shade structures, recycled rubber mulch, etc. They are available in different sizes, colors, and designs. The online retailers provide these structures at affordable prices but if you going to purchase any of such equipment, make sure to search extensively on the Internet. This can help you making a comparison between the quality and price of such equipment at different websites. Talking about the quality, it does not mean that if they are made up of recycled materials, they do not possess high-quality. The quality of such equipment is not less than the other equipment made up of wood, steel, or any other material. In fact, the playground equipment made up of wood and steel have a high possibility of harming the children rather than the equipment made up of plastic. And the biggest advantage of purchasing plastic equipment is that they are Eco-friendly. Playground Equipment from Recycled Plastic is in huge demand today because the people are getting more aware as how these plastic bottles and other waste materials can harm the environment if not utilized properly.